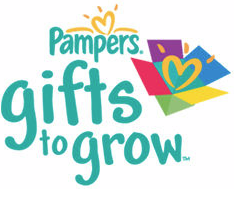 Home > Free > Pampers Gifts to Grow: 10 Point Code + Triple Points This Weekend!! Pampers Gifts to Grow: 10 Point Code + Triple Points This Weekend!! It’s always fun when there is a new Pampers Gifts to Grow code available! Enter code NL9SEPTFALL13PA to get (10) points, perfect to add to any many points you might already have! If you have yet to become a member, you can sign up now for FREE right now and earn and additional (100) points. This weekend, Gifts to Grow is offering a one time credit to triple points for any diaper or wipes code you enter thru 10/6. You can redeem these points for Coupon Booklets, Photo Collages and more, but I really like the coupons for diapers and wipes! Coupon code valid thru 10/17.